Hello there and Happy Friday I bet you are looking forward to the weekend. My Friday is not so happy as I got home form work to find that my mum has been rushed into hospital today and might require an operation pretty soon, we are waiting with baited breath to see what tomorrow brings we will have more news after all the results of today's tests are in. So please send me some positive vibes. I am sharing a card made with the beautiful Bliss set, I will be so very sorry to see this gorgeous set retire, it is so elegant and so very versatile. Crumb Cake card stock Basic Black ink and Real Red ink for the sweet butterflies . Black Satin ribbon adds a touch of luxury and pearls are just so very necessary for extra glamour. This card took me 5 minutes, I still get caught by surprise of just how quickly you can turn a bit of card stock into a lovely looking card with a stamp set and ink. Now you might aske yourself what was the purpose of the sentiment punched out, well that conceals a mistake, you see I reached for the Crumb Cake ink pad and took the River Rock out by mistake, the colour on lid looked similar while the stamped image on my layer told a different story. And I could have started again but by then the whole card was complete so I wasn't going to re make it even though it only took me 5 min. LOL> So Designer Label punch had to come to the rescue LOL. I really wish we could keep this set forever, I made some gorgeous wedding stuff using this set and I will share with you soon. Aww sending big hugs and positiveness to you babes.. you know where i am if you wanna chat! beautiful card as ever too! Lovely card, as always. Sending best wishes for your Mum and hoping she will soon be OK.
Hi Monica, sorry to hear about your mum, hope things go well. Gorgeous card, love the butterflies. Sorry to hear about your mum, Monica. Will be praying she recovers soon. Sending you lots of love and thoughts and Angel wishes for good results and hope all goes well. Very lovely card.Who wouldn't like butterflies. Dear Monica,thinking of you and hope your mum will be ok ;) Just love your card, it's beautiful and colours are fab! Great card Monica, even with the cover up - who would have noticed if you hadn't pointed out that there was a mistake being covered up! Sending good vibes and wishes your way for your Mum. Hope your Mum is ok! Love your Bliss card - I will miss this one, too. I have a little award for you… tfs! I simply love your style! You always give me GREAT inspiration. 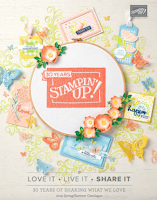 Last week I was given the Stylish Blogger Award by two Stampin Up! demos, and I would like to pass it to you! I will post my award on my blog later on today. Your blog will be mentioned. I'm sure you've received this award before, if not, visit my blog and see how to include it on your blog.